We are delighted to have taken part in the Mount Snowdon challenge and smashed our target for charity. 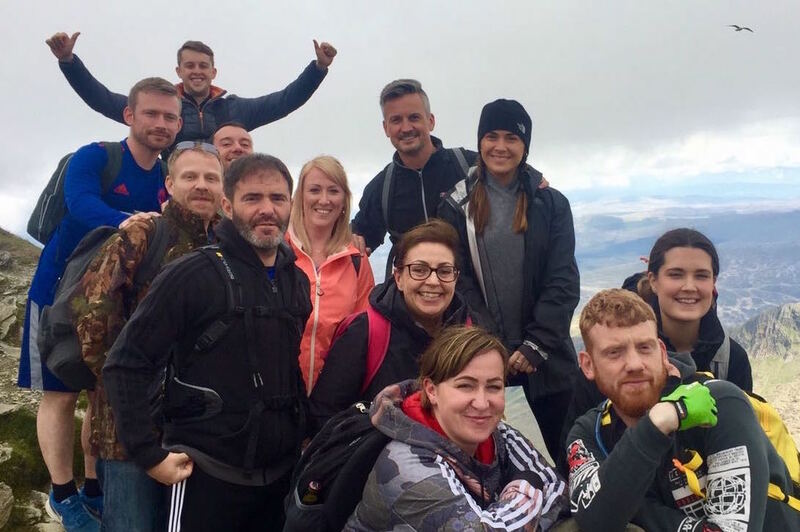 12 of our employees took to the rocky hills of Snowdon and decided to take the most tumultuous route, the Pyg Track. A few cuts, bruises and scratches, but the team had a fantastic time and completed the round trip in just under six hours. This year’s challenge was to raise money for the mental health charity MIND and after an overwhelming response to the Just Giving page, raised £642. Organiser Kerry Voellner says, “It’s really positive that we work with a bunch of people who love doing their bit for good causes. When we put the idea to the team, they were all incredibly enthusiastic and all agreed that MIND was a charity they wanted to raise money for. “Although the day was challenging, the team were in high spirits and encouraged each other along the route. Managing Director Ian Simkins says, “We’re constantly looking at ways to engage our staff and taking part in team challenges like this always turns out to be good fun. “Giving back is at the core of our values as a businesses, so days like this prove to be popular and has all the staff talking for weeks after. Want to ask more questions? Fill in the form below and one of our team will be in touch!